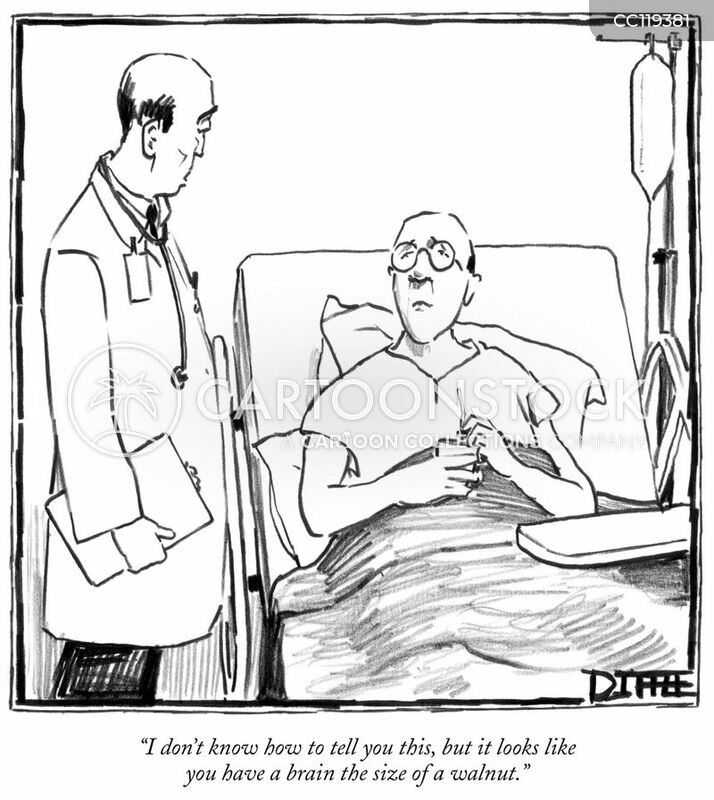 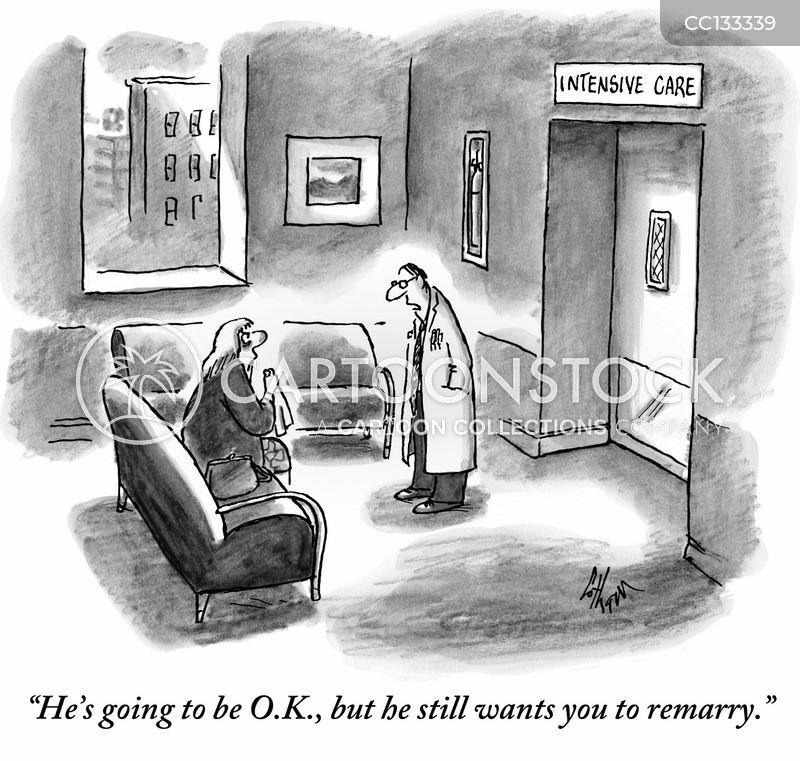 "He's going to be O.K., but he still wants you to remarry." 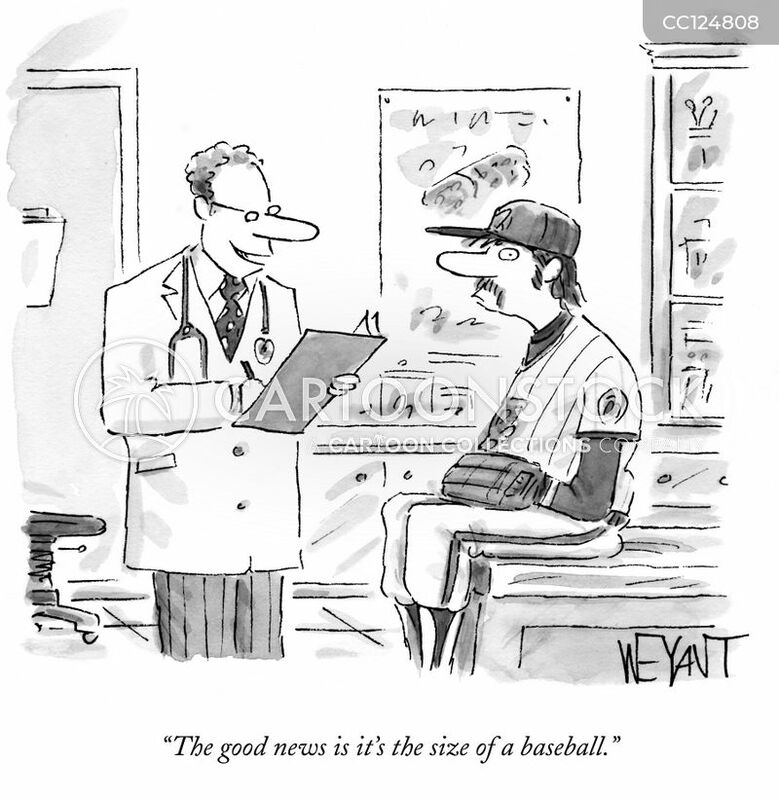 "The good news is it's the size of a baseball." 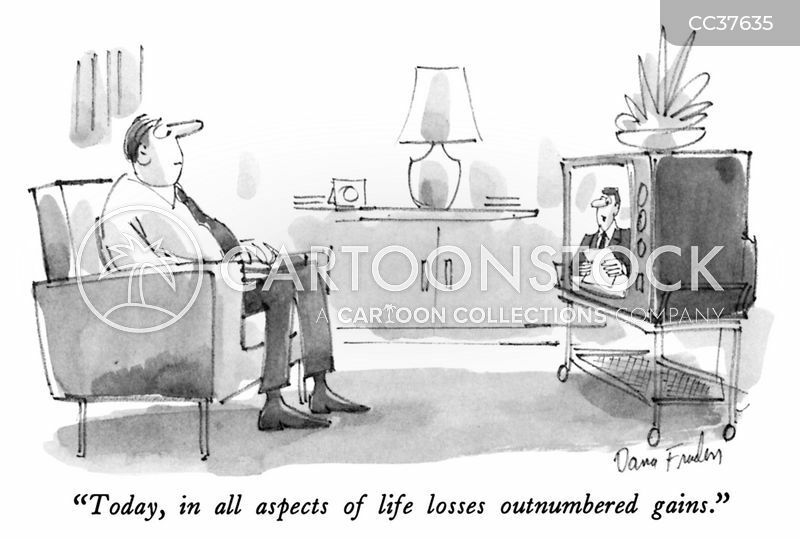 "Today, in all aspects of life losses outnumbered gains." 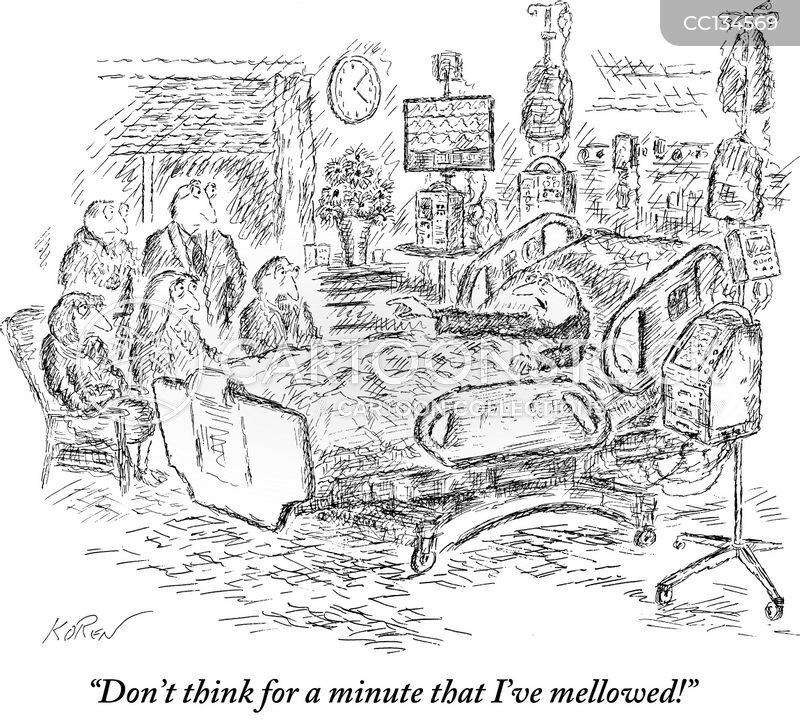 "Don't think for a minute that I've mellowed!"